The season of romance is here! Are you prepared for it? We’ve got a bunch of gift ideas for you, with items good for any kind of budget. All these items are customizable with your own pictures and text. We can even provide you with some Valentine’s Day design templates to kickstart the design of your item. Customized items featured above include neck pillow, 10×10 pillow, canvas print, mug, wallet, teddy bear, pouch, 8×8 tile, 20×30 pillow, couple shirt, 18×44 pillow, and 15×15 pillow. Order today! 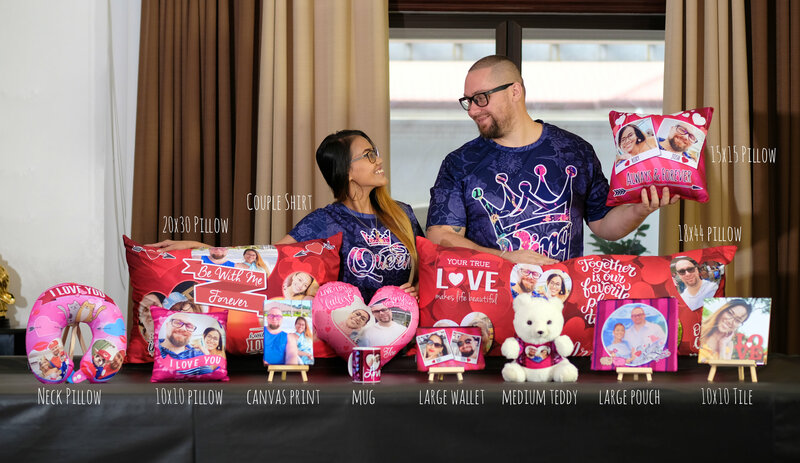 This entry was posted in Blog and tagged couple gifts, gift ideas, valentine's gifts, Valentines Day.